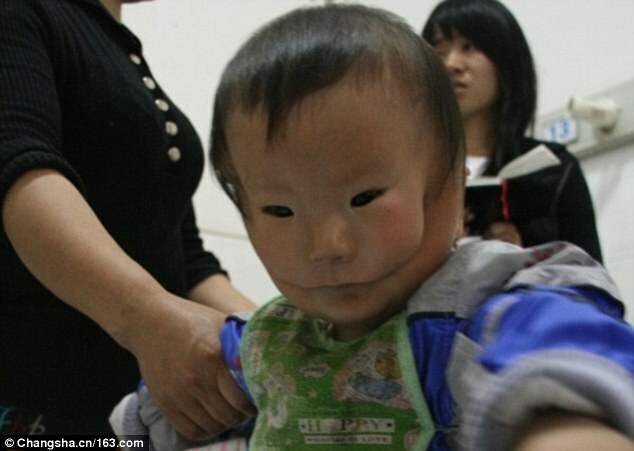 The heart-wrenching story of China’s ‘mask boy’ who appears to have two faces due to rare birth defect. 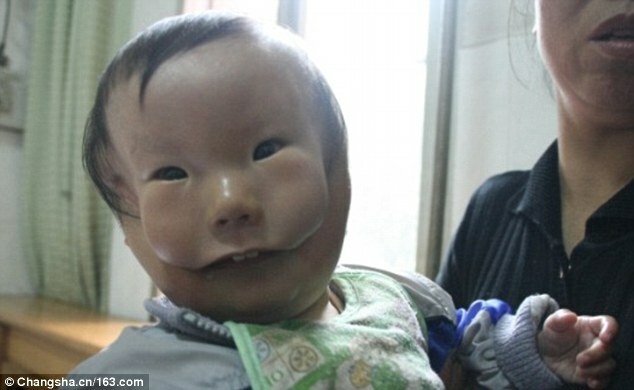 Huikang, from China’s Hunan Province, suffers from transverse facial cleft. 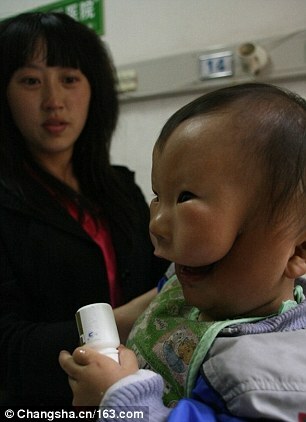 Rare condition means the boy, born in 2009, appears to have two faces. His mother said she was devastated when she saw Huikang for the first time.The child has been dubbed the ‘mask boy’.